Divorce always involves a new stage of life. For some, it can mean a release, the logical outcome of a distressing situation, and therefore, a desirable life change, while for others – the collapse of dreams, and complete frustration and confusion. Divorce is daunting whether you hire an attorney or go the DIY divorce or online divorce route. Once a couple decides to divorce the divorce process begins, and it entails contact with bureaucracy, paperwork, court visits, a host of trivial, mundane but urgent things which require clear thinking and taking active steps. All that you can do is ease the divorce process itself as much as possible and minimize the negative effects. And the good news is that we can help you sort out exactly how to get this done. A contested divorce is traditionally a lengthy process, and is often associated with the cinematic conception of the word “divorce.” It usually assumes several trials, heated debate between the spouses and their lawyers in court, mutual blaming and huge expenses. A contested divorce takes place when the spouses need to divide their joint property or resolve the issue of child custody, and each party has their own opinion of how to do it, with no desire to compromise. An uncontested divorce is a more in vogue way of getting a divorce. A vast majority of American couples are opting for uncontested divorces as an affordable and rather quick method of dissolution. An uncontested divorce implies that the spouses have reached an agreement regarding all the most controversial problems of their divorce. In most cases, it means that they write a settlement agreement – an official document that outlines all the joint solutions regarding child custody and visitation time, property division, spousal support if any is needed, and other topics. Moreover, sometimes, when neither of the parties asks the court to address some significant issues, they can even do without this agreement, and a divorce can be granted by default. In general, only a final hearing is required. However, some states allow simplified uncontested divorces with no trials at all. This concept is called a do-it-yourself divorce and is quite popular now as well. The primary principle of DIY divorce is that both spouses must get ready to cooperate and solve problems jointly. Their intention to make the divorce process less stressful and expensive must be mutual, and they must communicate honestly and directly. Each party must understand their responsibilities, since without an attorney divorce hinges on them and them only. Therefore, a couple should consider their particular situation, and not rush in blindly. For example, depending on how complicated it is to make the settlement agreement independently (especially when the parties are parents of underage kids), the spouses should remember they may resort to the help of specialists for a particular part of the job. They can hire a lawyer to make a valid settlement agreement or use divorce mediation or counseling. Divorce mediation is a non-competitive alternative to litigation, which is perfect for spouses who are ready for dialog but are finding it difficult to settle all the differences successfully. The mediation process requires the spouses to negotiate under the guidance of an experienced professional; they do not fight but rather discuss all the problems constructively, encouraged by the common goal of making a mutually beneficial agreement and getting a divorce as quick as possible. Once the settlement agreement issue is decided, we are dealing with a simple uncontested divorce, and it becomes easier to continue the process without legal representation. If you haven’t already, you should familiarize yourself with the family law of your state, as well as filing regulations. Different states have different specifications for how a divorce must occur. However, in all cases, the core of a simple uncontested divorce is paperwork. In general, every divorce starts with the filing of a divorce petition. Despite the fact that different states, as well as different counties within a state, may require different divorce forms, there is a basic set of the papers which are necessary. Finalize the divorce (Final divorce order, Divorce Decree). Along with that, numerous other divorce forms and papers are required depending on your location and personal situation. So, how does one get the correct divorce papers if you wish to divorce without an attorney? And is it possible to do this without setting foot in the clerk’s office, wasting your precious time? First and foremost, to get relevant information concerning the needed forms you may check your county court’s website or the website of the judiciary branch of the state. They usually provide a list of documents for different scenarios, like “contested/uncontested divorce with children,” “contested/uncontested divorce without children,” “simplified dissolution,” and so on. Some government sites allow you to download these printable forms, so you can start filling out your forms immediately. Sounds pretty convenient, but it’s not that simple in actuality. This way of getting divorce forms is attractive due to its affordability; however, you should be absolutely certain that you have picked the proper forms. They can be pretty tricky, so if the site does not provide a comprehensive step-by-step guide through the dissolution process, you may easily miss some of them. And if you have to start all over again, having found a mistake too late, in court, you will probably waste a lot of time. The same applies to filling out divorce forms. It is not as easy as it seems since there are a lot of paperwork subtleties which can be challenging for those who have not faced court proceedings and strict legal regulations before. You should fairly assess your capacity in advance. Remember that the forms provided by the state court website might be unsuitable for a particular county. Additionally, information provided by the state is relevant but incomplete. It should be viewed as a brief description, which is of a purely introductory nature. Another way to get divorce papers online is to use the assistance of an online divorce service. These are companies which are not legal firms, meaning they do not provide legal advice or assistance in the court but help with the paperwork. Online divorce is an excellent alternative for couples who want to arrange an uncontested divorce without a lawyer but are not willing or able to handle all the boring and complicated prep work. Roughly speaking, though these companies do not help deal with the divorce process itself, they let you avoid red tape and ease your further steps in court. In the case of uncontested divorce, good preparation is half the battle. The operational principle of these services usually begins with the customer logging in to the online divorce website and answering questions concerning the conditions of their dissolution case. The customer’s answers allow the system to form a general vision of the divorce in question, with which it adapts the divorce forms to the relevant state and county laws and rules and gathers the full required paperwork kit. All the essential details of the case are taken into account, so even the rarest of divorce forms are not forgotten if they are needed. Typically, divorcing spouses favor online divorce companies due to the speed of service. The client may receive a completed, ready-to-be-signed paperwork package in PDF format online within a couple of days (usually between one and three business days), which is to be printed and submitted to the court at a convenient time. Unlike court sites, online divorce services are not free. Nevertheless, as the cost of online divorce services is significantly less than attorney fees for the same uncontested cases, people find the price of around $120-400 fair. They don’t have to worry about whether the forms were correctly selected, whether they were filled out correctly, whether they will be accepted by the court, and so on. During a divorce, there are plenty of stressful situations and things requiring time already, so it’s no surprise that online divorce has become a real godsend for plenty of couples. Choosing the right online divorce service from numerous similar platforms is essential. In the wake of this service’s popularity boom, a lot of fly-by-night companies have appeared, so you should carefully read customer reviews and the websites themselves. Some online divorce companies, eager to prove their reliability, offer refunds in the event that the court does not accept the paperwork. Regardless, it is up to you to decide, but you should be responsible and feel positive about the options. As you see, getting affordable divorce papers online is not only possible but also very easy, and remember – this is a great start and a key part of your no-hassle divorce. 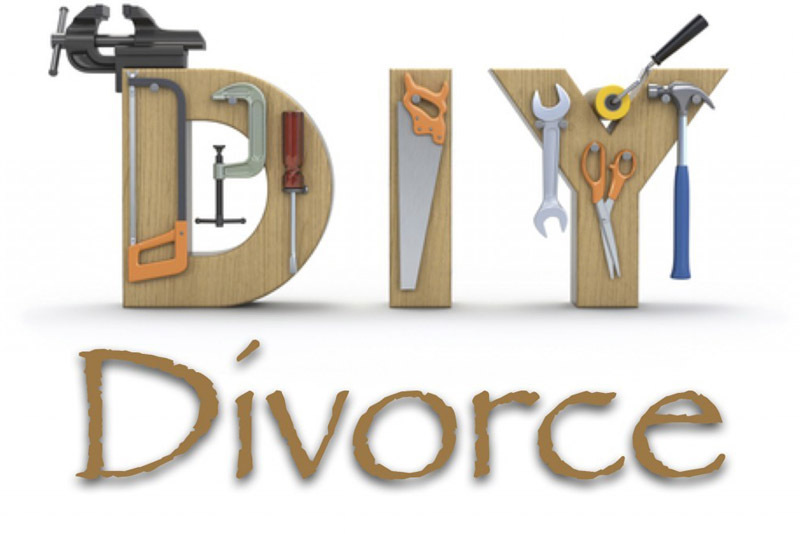 The post DIY Divorce Or Divorce Online: What You Need To Know appeared first on Divorced Moms. Is there expert help to deal with Parental Alienation in the court system?